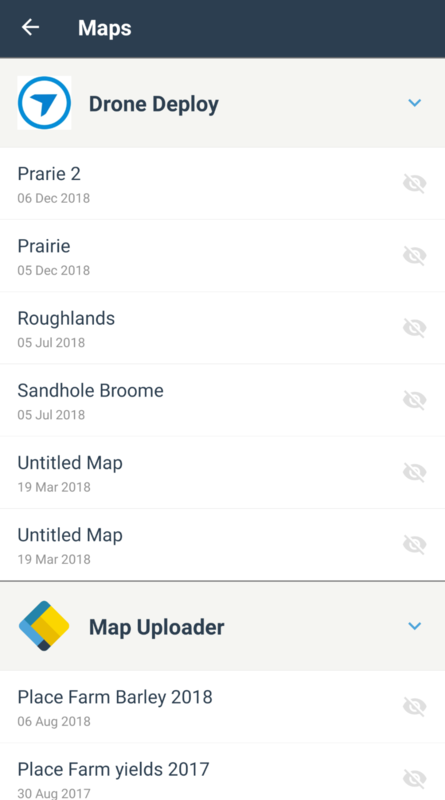 You can view maps that you have added to your farm using Map Uploader or our DroneDeploy integration on the go with our mobile app. 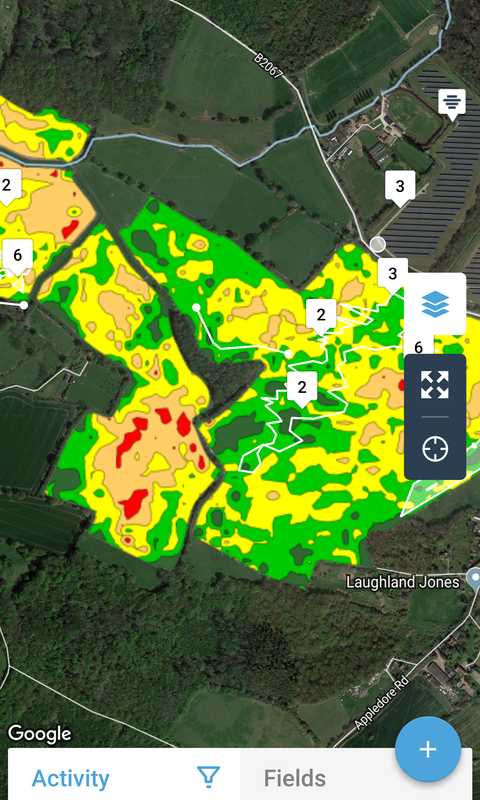 Maps can only be added to farms using our web app. 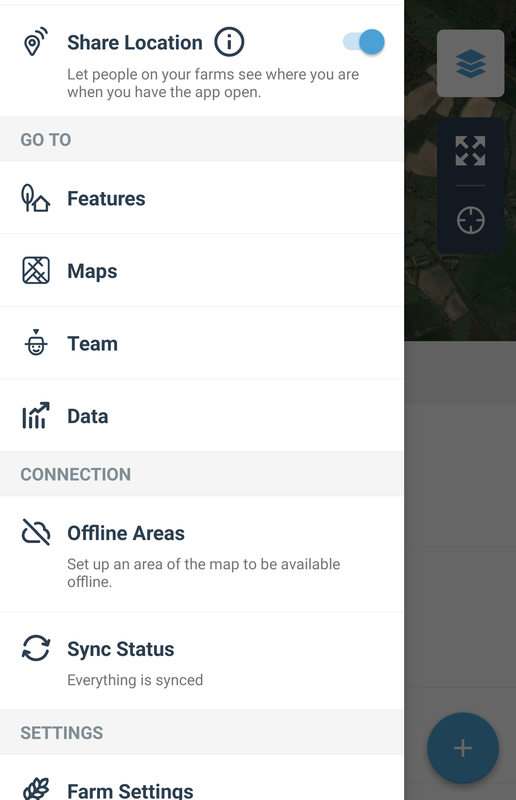 To see a list of your maps go to the menu and select ‘Maps’ from the list. This will load a list of the maps that you have added on your farm (you need an internet connection to do this). Tap on one of your maps to view it. This will show it with your fields, features, notes and tasks overlaid. If these are blocking something on the map you want to see you can turn them off using the layers menu. To change maps go back to the Maps list and select another map. To turn off your map go to the Maps list and tap on the enabled map (this will have a blue eye symbol next to it).